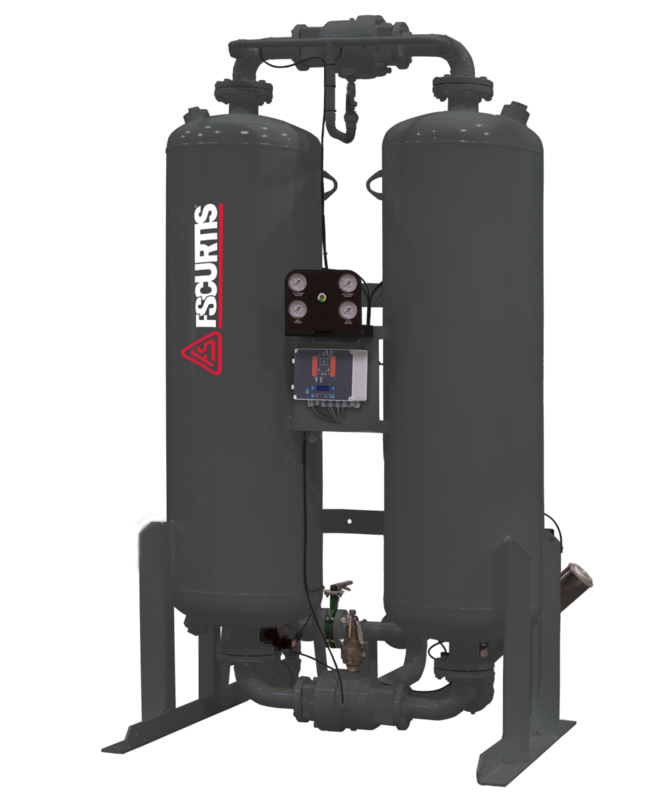 FS-Curtis’ externally heated purge desiccant dryers offer guaranteed dew point performance and are equipped with our advanced ambient air amplification purge technology. DHP Series dryers consume less dried compressed air volume for regeneration purpose by the use of a low-watt density heater. Eliminate air loss to align supply-side equipment with demand-side requirements to optimize your air system.